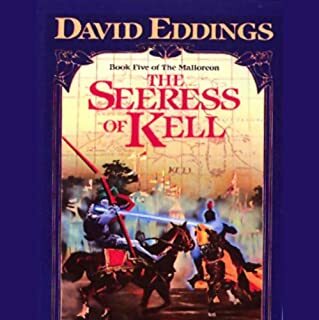 It is a time of darkness, dread, and ultimate testing for the realm of Osten Ard, for the wild magic and terrifying minions of the undead Sithi ruler, Ineluki the Storm King, are spreading their seemingly undefeatable evil across the kingdom. With the very land blighted by the power of Ineluki's wrath, the tattered remnants of a once-proud human army flee in search of a last sanctuary and rallying point - the Stone of Farewell, a place shrouded in mystery and ancient sorrow. The evil minions of the undead Sithi Storm King are beginning their final preparations for the kingdom-shattering culmination of their dark sorceries, drawing King Elias ever deeper into their nightmarish, spell-spun world. 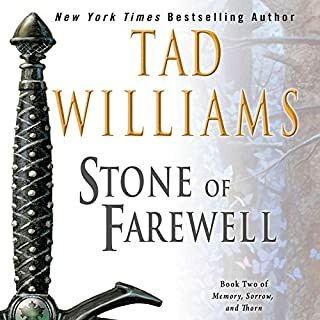 As the Storm King's power grows and the boundaries of time begin to blur, the loyal allies of Prince Josua struggle to rally their forces at the Stone of Farewell. Only a small scattered group, the League of the Scroll, recognizes the true danger awaiting Osten Ard. And to Simon - a castle scullion unknowingly apprenticed to a member of this League - will go the task of spearheading the quest for the solution to a riddle of long-lost swords of power...and a quest that will see him fleeing and facing enemies straight out of a legend maker's worst nighmares! 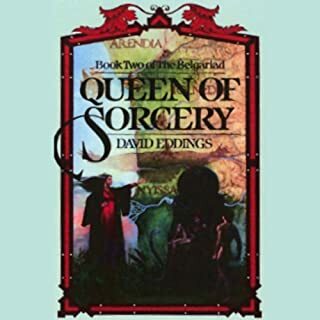 Great reading of a fantasy classic! 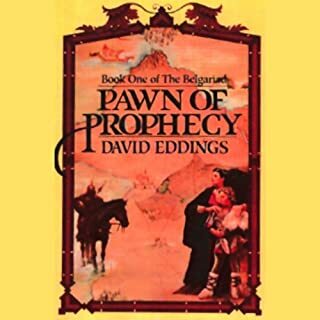 This is a fantastic classic, told with great narrative flourish. Loads of unique accents help to differentiate the vast cast of characters from one another. I loved the story but did not like the way certain characters were voiced. Simon ended up being portrayed as a simpleton and it bothered me. The story is written with a lot of detail regarding the scenery, characters, and places which I find gives me a better mind picture. The main characters in the story grow and mature, and form bonds, which drive the journey onward. If you don’t like detailed descriptive writing this book may seem to go slowly. If you stay with the characters though, the story is wort it. It leaves at a good place for the next book, which I already purchased. boring and long winded series with a lackluster ending. dont waste your time. word word word. 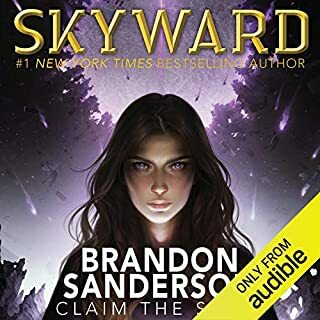 I have to admit that I'm only a few hours into this audiobook at this point, but I've already read it in print, so I know what happens. That being said, I'm very glad that this great series is finally being made available in audio. So far, I'm very impressed with the narration. 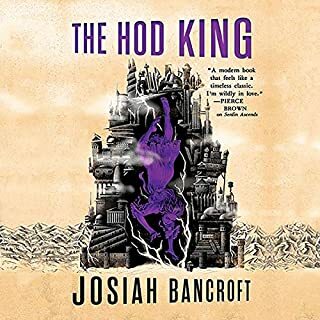 Mr. Wincott does an excellent job differentiating between characters, so it's easy to tell who's speaking, and he reads at a comfortable pace while infusing the narration with the proper emotions. 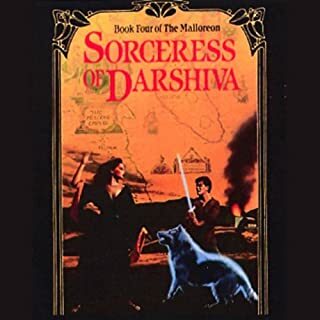 The books themselves are fantastic, and Memory, Sorrow, & Thorn is one of my all time favorite series. 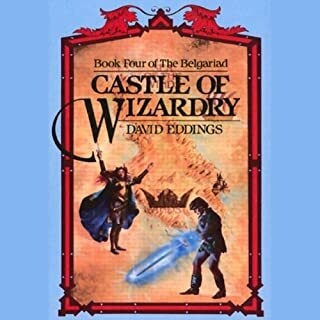 This series was written back in the 80's, so the plot may seem familiar to many readers, but It's very well written with characters you can care about. The bottom line is that I highly recommend this book. Back to listening! I can't believe I've been missing out on this author and series for years. I can certainly how this has inspired writers. 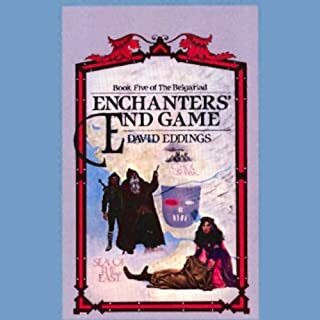 It's a wonderful epic fantasy. Give it a try. Don't get frustrated by all the names in the beginning, they will begin to make sense as the story goes on. I knew this was one of my favorite stories but the incredible performance brought new life to the tale. Like meeting a loved one after a long absence and finding them better than you possibly could imagine. An excellent reading of an old favorite! A great use of a book credit! 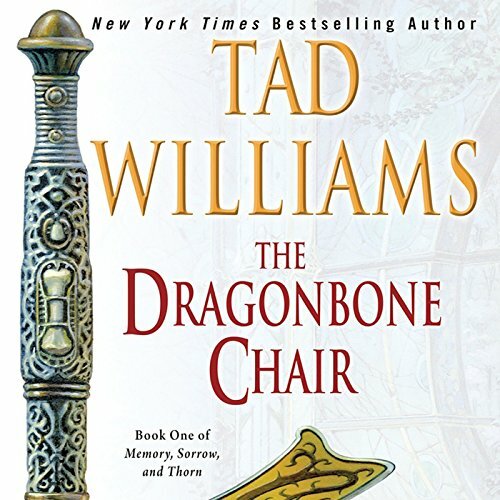 One of the best fantasy series ever written. 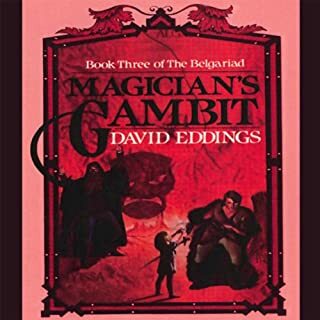 An example to modern writers of what can be done within the span of a trilogy, where the writer actually finishes the last book even if it takes him a couple extra years (hear that Patrick Rothfuss?). 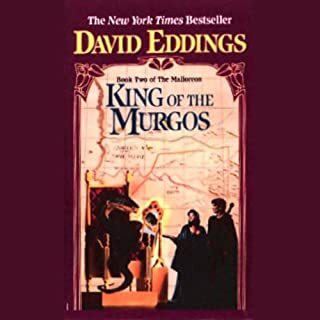 I downloaded the audio version twenty years after purchasing the first edition of the book, and I was worried that it would not be well done. Well, i no longer have to worry. The reader does an exceptional job, the narration is superb, the pacing and voices are excellent. I was transported back to Osten Ard in a wonderfully immersive experience. To those of you that are picking it up for the first time, yes it does start slowly. 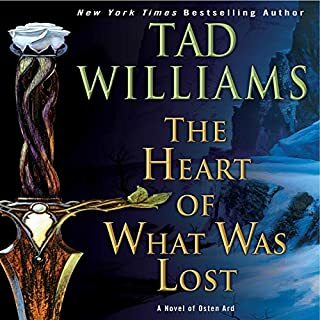 The first 6 hours or so are slow as Tad Williams builds his characters and worlds with care, something which will pay off in spades later. And if you can invest the first few hours, once the action starts, it will not let up, through book two and the masterpiece that is the third and last book in the series. I read a couple of reviews from people who were encountering the book for the first time worrying about the character growth of Simon. Well, if you stick with it to the end, there are few series out there that do a better job of showing the growth and maturity of characters. 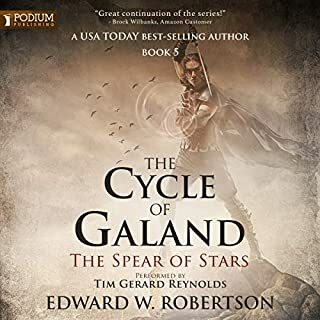 This is a beautiful series, one of the handful of fantasy masterpieces, and this audio edition is everything I could have hoped for. 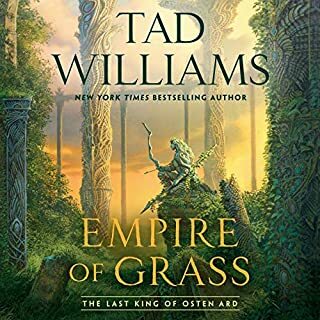 Thank you Tad Williams and Audible for bringing it to us. I read this book in 1992. I was 12. It opened my eyes to a world of Fantasy and adventure. 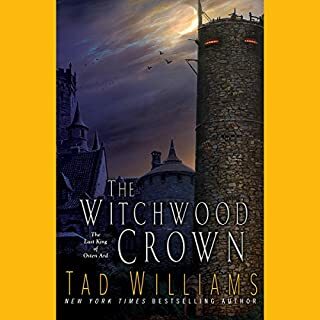 The narrator does a superb job of giving each character their own voice as well as accent even. It was wonderful to revisit Osten Ard once more. Enjoy! 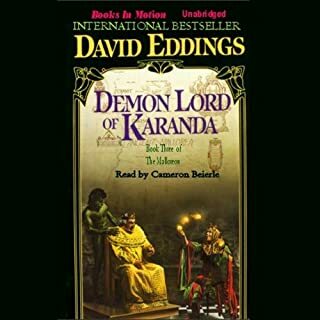 One of my all time favorite books now in audio, was a true joy to listen to. Going back with Simon on his long journey was really fun to get back into again. The narration was very well done and I think he did a good job with the characters voices. He also does a good job reading the book, keeping the pace and action alive and moving to keep you entertained and not lolling into sleep. 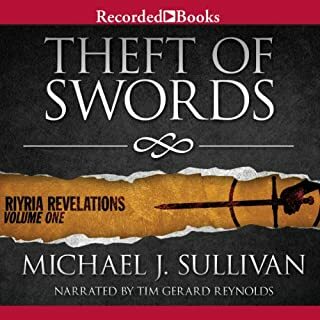 Overall I think this is a very good audiobook and a great start to a very good series. 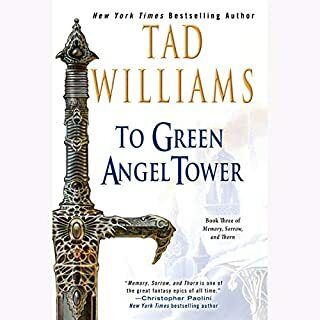 Hopefully, Green Angel Tower will be out by the time I finish the second book to this series! Great book to "read" again. Read book again after 20 years. It is still a great book. I will finish the series.